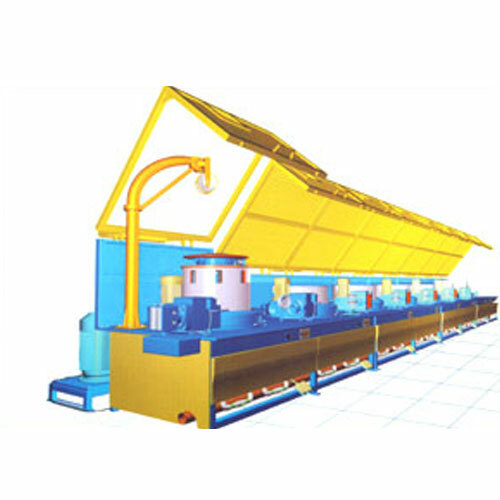 Straight Line Wire Drawing Machines were developed for straight or deflection free drawing of wire to provide better drawability, lower frictional contact and lower operator interference. 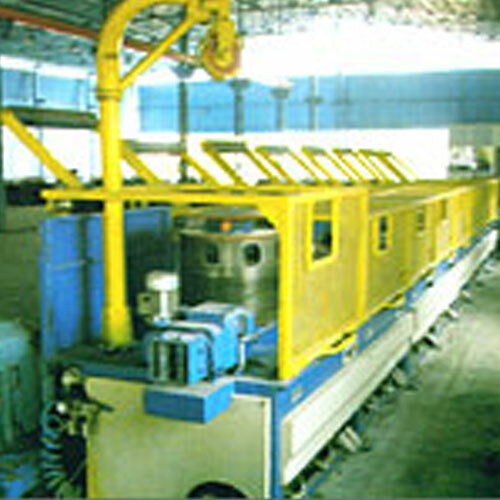 Theoretically there is no limit as far as the wire material or wire diameter is concerned to be drawn on these machines. 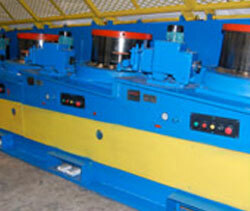 ASSOMAC has pioneered to indigenously develop the Straight-Line Wire Drawing Machine Technology in India. Presently the range available is capstan diameter 900mm, 750mm, 600mm, 550mm, 500mm, 460mm, 400mm and 300mm for inlet wire diameter 16mm down to 0.5mm. Line speeds upto 25 Mtrs / Sec. 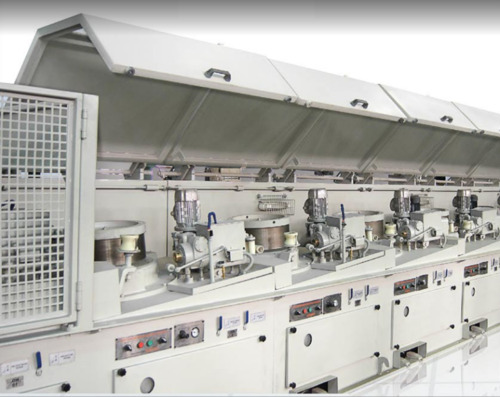 These heavy Straight Line Wire Drawing Machines provide remarkable drawing performance for Low, Medium and High Carbon Steel Wire, Stainless Steel Wire and special Alloy Steel Wire and Non-Ferrous Alloy Steel Wire. 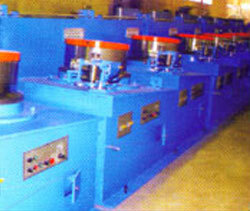 Machines are built on modular structure, in combination of Blocks and do not require any special foundation. Better productivity due to higher drawing speeds, twist-free operation & better cooling. Easy operation and faster threading. High pressure Narrow gap, internal water cooling for high efficiency cooling of wire. High degree of reliability, low downtime due to lower no. of wear parts. Much better finish wire quality due to a gentler handling of the wire during the drawing process (less wire deviations, low torsion etc.) as well as an optimized wire cooling. Highly effective pneumatic braking system in case of emergency. Better environmental conditions due to increased dust protection. Greater flexibility and lower current consumption due to modern AC drive technology and efficient power transmission system. PLC based control with profibus digital communication and fault diagnostic system. 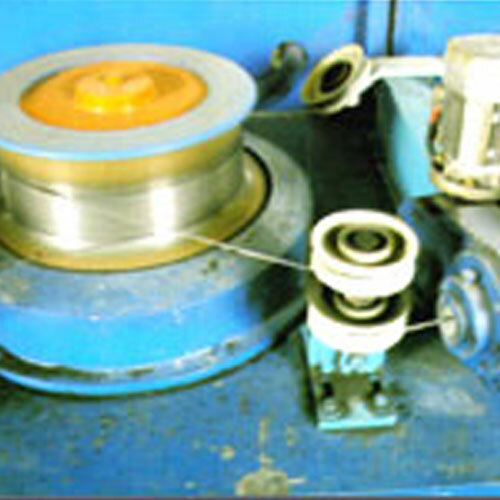 There is a constant length of wire on the drum and the wire from drawing drum is transferred to the next die through the fixed pulleys and the dancer pulley in the inclined plane. 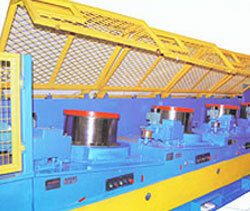 This machine is particularly suitable for Wires below 4 mm diameter and necessarily required for wire sizes below1.5mm. Other features, fitments, optional attachments remain same as offered along with Straight Line Sensor Control Type Machine.